In 1959, a group of Russian students hiking in the Ural Mountains didn’t come home. When a search party finally discovered their bodies, their findings were strange and mysterious, discovering remains with brutal injuries oddly without signs of a struggle. 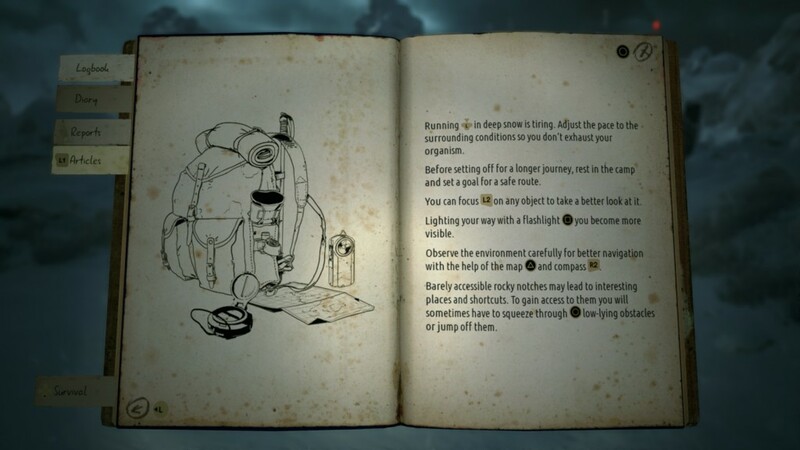 ‘This is known as the Dyatlov Pass incident’, and forms the basis of the narrative of Kholat. This is an interesting premise and certainly an original one to base the beginning of a story on a real, unusual, and most importantly, unexplained event. 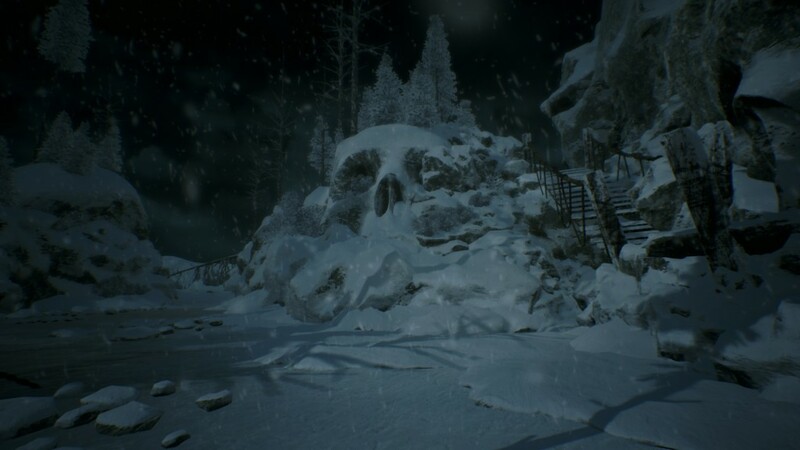 Kholat is clearly inspired by the likes of Dear Esther, The Vanishing of Ethan Carter and other games of the story-driven genre, sometimes termed “walking simulators”, even though if done correctly this kind of experience can have been effective ways of telling a story. The game runs on Unreal Engine 4, and environments look pretty good for the most part. This is actually the best aspect of the game aside from the sound design and brilliant score which includes music from Mary Elizabeth McGlynn of Silent Hill fame. However, these believable howling winds and chilling snowstorm visual effects come at a price, and Kholat has perhaps some of the worst performance I can recall on PS4. Frames drop regularly, and there were several times in which it slowed to a painful crawl when effects got heavy, or seemingly for no reason at all. It all looked very nice but was not worth the tradeoff of playing Kholat as a powerpoint presentation. That said, the atmosphere is its strength, but that all melts away when you begin to experience some of the questionable design choices such as frustrating maps and a very limited sprint that causes a blurred vision effect so you don’t “exhaust your organism”. What? The compass is also Russian so it isn’t immediately obvious which end points North, which a google search told me is the red end or “север”. Obviously. After the introduction which summarizes the Dyatlov Pass incident, Act I begins. A lonely and directionless jog around a train station leads to a cave and mystical transportation to the mountain. Act II: The first thing you find are four large rock pillars with strange symbols on them and in the centre there’s a large crater, seemingly from the impact of some extraterrestrial object. 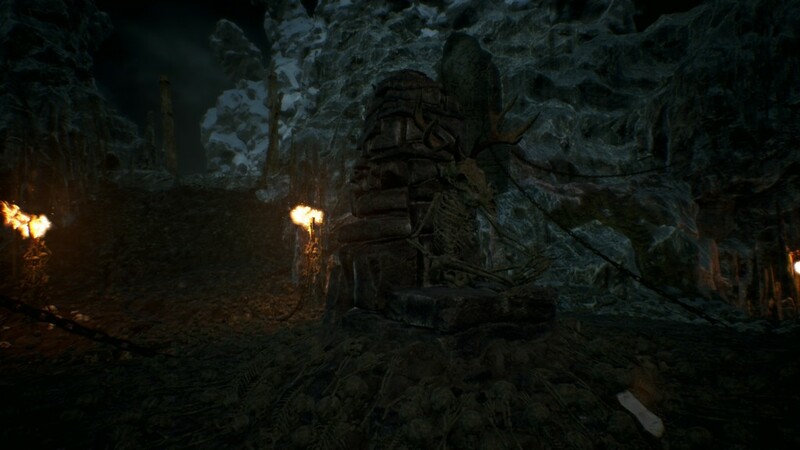 This is the basis of what Kholat gets right in part, but it was also the most disappointing. 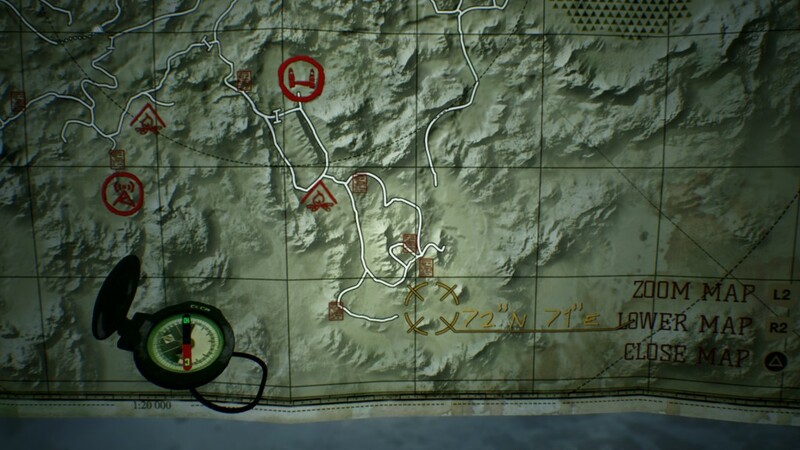 Throughout your hike around the mountain, your map offers coordinates which are sites that are home to notes which drive the story forward, similar to Slender in a way. These areas can be visually impressive and often thought-provoking. My favourite of which was a large cave full of bones and skeletons worshipping a “Bone God”, a human skeleton with an animal skull sat on a throne. This kind of visual imagery was excellent and really intriguing. Disappointingly, from what I could barely piece together from the plot, these scenes seemed to have nothing to do with anything and just dressed up “horror-like” areas to suit the tone of a horror game rather than the story it was trying to tell. The entire game is based on finding these areas for you to pick up notes and move on. Every time you come across a scene that appears as though it’s relevant or may trigger something interesting, it doesn’t. Kholat is filled with static film sets where nothing interesting happening, but these areas do intrigue – which is why I was so let-down. The area as mentioned earlier concludes in a chase from orange fog down a the mountain while it falls apart, and this is probably one of the better parts of the game. However, it was short-lived, and again, irrelevant. It’s nonsense when you reflect on what’s actually happening. These places are great to look at and that’s it, and by the end, you just don’t care what their relevance is because the navigation to get to them is utterly infuriating. It is difficult to convey how much I hated this aspect of the game. The aforementioned map you are given when you arrive provides you with several coordinates which have no context, and this will likely frustrate almost immediately. The map doesn’t have a marker to show where you are, so sometimes co-ordinates appear written on rocks, which I assumed were to show me my location. If that is true, it is surely an admission that the navigation is awful, but even so when checked they didn’t seem to match up to where I thought I was. Often when you think you’ve found your bearing, the map never seemed to match up with what you’re looking at. I do appreciate the originality and the lack of hand-holding, quest markers, and intrusive HUDs which plague a lot of titles, but the implementation here just serves to annoy. The only time anything is marked on your map is when you find a fast travel camp fire, a note from one of these major story sites, or pick up a note from elsewhere. Any other time you’re left in yet another nondescript ravine or snowy hill, with nothing to orient yourself. I had to stop playing this relatively short game on numerous occasions out of sheer frustration from the navigation, as I wandered from one area to the next, trying desperately (and often failing) to work out where I actually was. The constant threat in Kholat is orange mist men who, when they see you, can kill you in a single hit. This abruptly kicks you to a game over screen. These creatures, as well as spike pits which appear seemingly out of nowhere, aim to halt your progress. The enemies can appear as misty outlines or simply orange footsteps in the snow, but sometimes it wasn’t clear they were there at all, meaning there was no way to avoid them. They aren’t properly introduced either; there’s a different kind of orange-glowing-person which seeks to guide you, so when I first saw an enemy I didn’t know they were a threat. Obviously, this only contributed to my frustrations. Checkpoints are activated when you collect an item or find a camp, so this means every death sends you back to wherever you last saved, so you could lose a lot of progress from one of the game’s many sudden obstacles. Once while running panicked through the woods, I got jammed between two trees and the perusing mist man got me despite there being no visible obstruction; this would only be plausible if my character was profoundly rotund. Similarly, you’ll often see areas you can’t access because the player character, despite being able-bodied enough to tackle a massive hike up murder mountain, can’t step up a ledge that would smack a man of average height right in the shins. This often means massive detours and more maddening navigation. 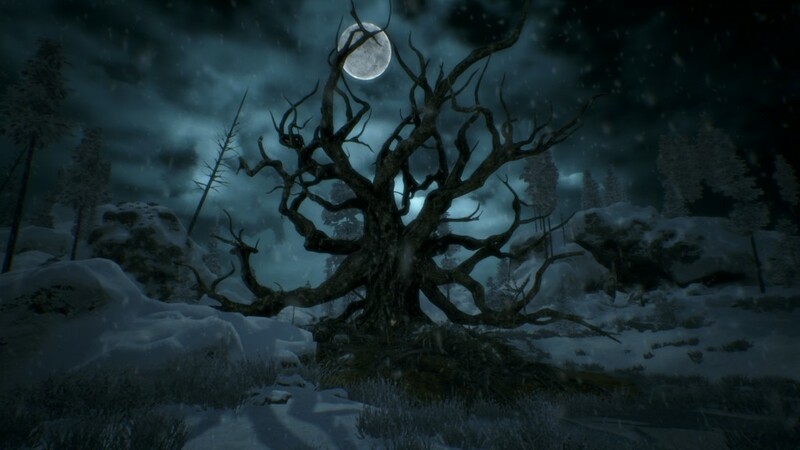 The game is narrated by Sean Bean who sadly does not deliver a very compelling performance, however, it could be because what he’s talking about is almost a complete mystery, and this is a major problem with Kholat. The story is told through the notes and some perplexing dialogue which is meant to leave some mystery and leave a lot up to player interpretation, but it most certainly has either been translated poorly or written by a non-English speaker as it makes almost no sense at all, the latter of which is most likely as developer IMGN. PRO is based in Poland. This style of storytelling has been popularised and done very well by From Software’s recent titles, but it is done poorly here. Why the orange mist men? Why did the big rocks slam up and down at the end? What do the symbols mean? Who am I controlling? None of it makes sense, and it doesn’t feed you enough hints to help you understand anything or make any connections. It’s a mess, and Beans’s lines are just random words and strange phrasing trying to sound poetic. By the end, it seems as though he has a big reveal setup which (spoilers) goes nowhere. The performances from everyone else are god awful. One character, a student, sounded like she was mockingly reading out someone else’s note when in reality she was recounting events of being stuck on an evil ghost-filled mountain, like Alicia Silverstone from Clueless sarcastically reading out the synopsis of Until Dawn. This was nothing but distracting and didn’t help the disorientating plot, and its already disjointed presentation and pacing. I was initially interested by Kholat‘s premise, and from what I saw in screenshots, it looked great, and that remains true at least. The well-crafted main locations mostly look impressive, but they are basically pointless and suggest aspirations which the game sadly never reaches. The frustrating navigation is unforgivable, and overall, the game is a huge disappointment. 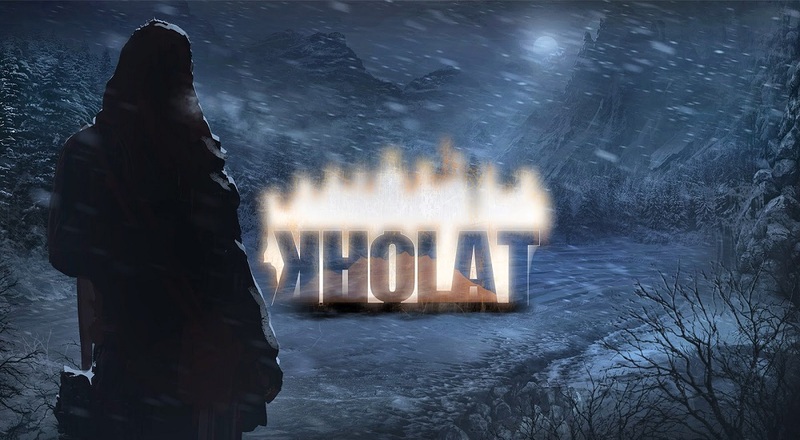 I can’t recommend Kholat; it’s genuinely annoying to play and not fun or scary. There are a few moments of tension, not because the scenarios are frightening, but because you don’t want to hike for miles yet again. At best you can enjoy the graphics and set pieces in the screenshots and then forget about this game. I bet those areas look fabulous in the concept art. If anything, Kholat has taught me not to go anywhere which requires orienteering and if forced, use lots of handwritten notes. If proper use of such a map and compass is anything like its depiction in Kholat, I’ll end up throwing them both into a river and gladly starving to death instead.